One of my favorites shows on Oprah Winfrey‘s network OWN is Master Class. I like the format where it literally gets in the face of the subject and examines the life lessons that brought that person to the point of success they have achieved. The idea is that life has its most powerful lessons and that these high achievers have something from their lives that they attribute to what has resulted in where they are now. Jay-Z, Maya Angelou and Diane Sawyer have already been featured with some fascinating insights. There is no interviewer shown or questions asked ( that the viewer can see). The person seems to be chatting directly to the audience and offers an intimacy that resonates a very unique TV experience for viewers. It is one of the most positive and interesting shows on air. For a man that has gained a reputation for being brutally honest with his opinions and has become extremely popularity for it, he cautions us to not believe in your own hype. He understands the role of maturity and experience. 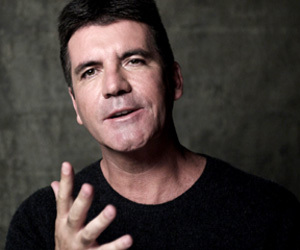 Cowell acknowledges that except for the very rare person, no one knows anything at 17 years old. He acknowledge the insecurities of his industry and advised that one needs to know and seem to know what they are doing or get eaten alive. He also mentioned that listening should be a 90% active role of what we should be doing and 10% should be speaking. He likes people with opinions even if there are heated arguments. He finds that there are too many “Yes” men around. He found that he listens to his gut feeling about what he likes or does not like and over time that has served him well. He states that the best thing you can do from failure is to own up to it and learn from it. Don’t blame someone else. I found his comments to be refreshing and as, always honest. Master Class proves again it is a winning show.